The Prince Resort's well-equipped fitness center makes it easy to stick to your workout routine while vacationing in North Myrtle Beach. 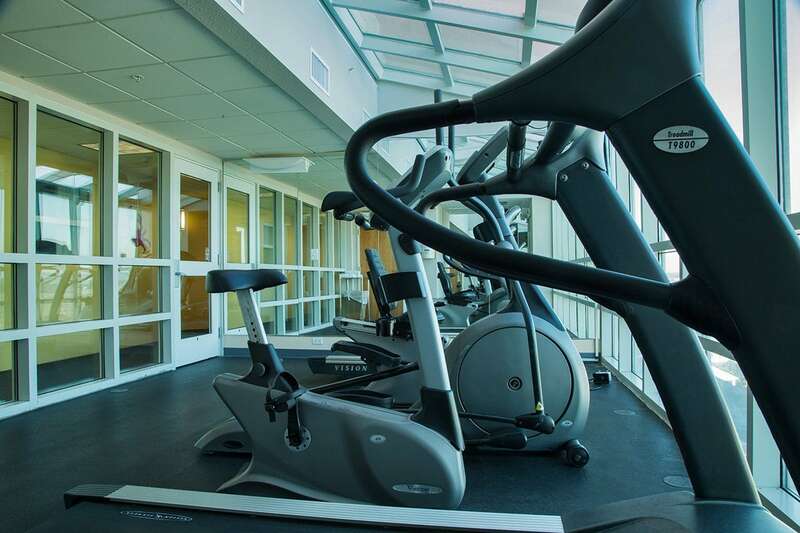 The fitness center consists of two rooms: one for weights and one for cardio equipment including treadmills, stationary bikes, elliptical machines, free weights and a nautilus machine. 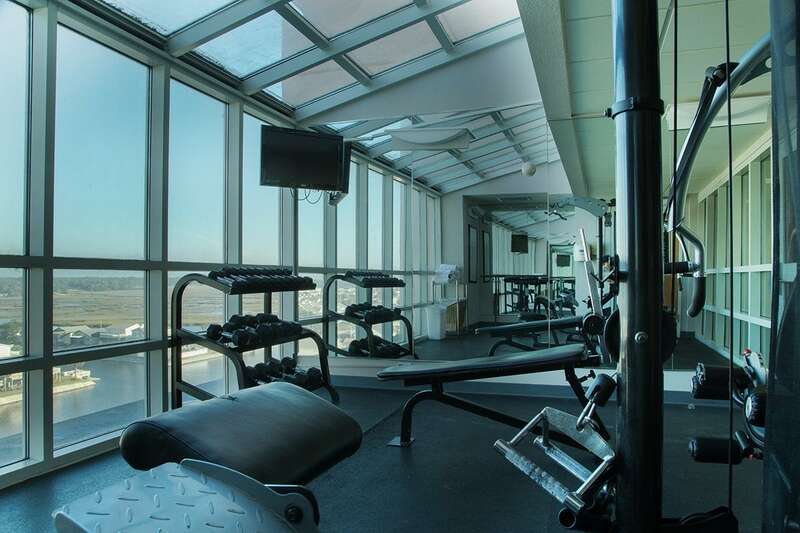 Our fitness center is conveniently located in Tower 2 on the same floor as our water amenities while providing a breathtaking view of the Cherry Grove Marsh. The Prince Resort fitness center is located on the 9th floor of Tower 2 and is open from 7:00am to 11:00pm, providing ample time to get your routine in during your vacation.